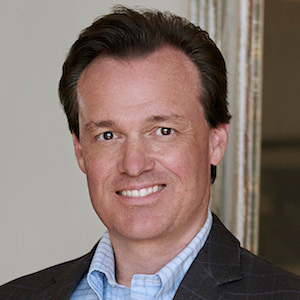 Will has provided real estate services to the Park Cities, Preston Hollow, North Dallas, Lakewood and Uptown markets for over 14 years, consistently earning brokerage and market top producer awards and “best” designations. More importantly to Will, he has developed following of loyal clientele, many of whom are now close friends. Behind his jocular, easygoing personality is a studied and strategic approach to the listing and buying process that begins with listening, learning and thoroughly understanding each client’s goals. At every decision point, he advises his sellers and buyers using intelligent market insights and best practices that are specific to achieving their objectives. Will was raised in the historic district of Alexandria, Virginia on the banks of the Potomac River near Washington, D.C. Growing up, he spent summers in Rehoboth Beach or at his family’s timber farm in Jasper, Texas where his father, an architectural historian and author, restored his ancestral c.1845 farmhouse. Will credits his practicality and imagination to growing up in historic houses, and he is a strong believer in the economic and social benefits of preservation. After graduating from SMU and earning an MBA at the University of Mississippi, Will relocated permanently to Dallas in 1998. He is married to a Dallas native and has two children attending public schools in Highland Park. Prior to his career in real estate he served on the staffs of two U.S. senators in Washington. In his spare time, you’ll find Will working on his cars, learning to fix just about anything, or supporting his son and daughter in volleyball, baseball and academics.